Although this free bakery WordPress theme is minimally designed but it never fails to attract visitor attention with its clean layout, sleek design and refreshing and beautiful colours. It has wide space to thoughtfully position website components to give smart look to your website. Apart from bakeries, it can be used for cafés and coffee shops, food joints, bistros, sweet shops, juice and shake centres, chocolate room, ice cream parlour and similar businesses. This free bakery WordPress theme welcomes visitors with an impactful slider and use of call to action (CTA) buttons will lead business to great success. It is so well documented that even if you don’t come from a coding background, then also you can install, configure and make small changes to the theme on your own to set up a functional website. It is responsive, all browsers compatible, translation ready, retina ready, social media linked and supports RTL writing languages. Its SEO will help you reserve a good place for your website in search engine results. 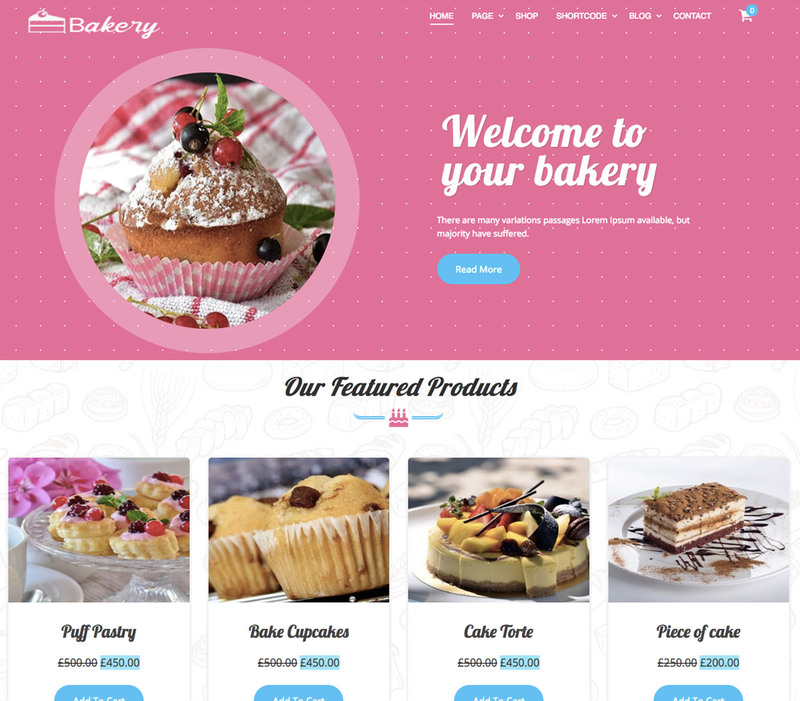 This free bakery WordPress theme allows you to upload your own logo and configure slider settings according to your wish. As this theme is integrated with WooCommerce plugin, you can instantly set up your online store for extra revenue.